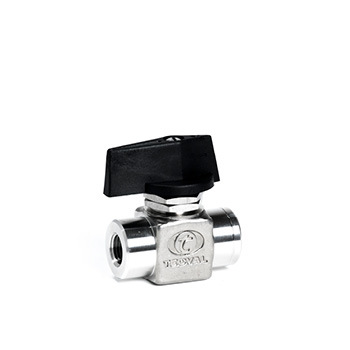 TECVAL VB-08 valve is designed to work with liquid or gases under high pressure or moderate vacuum service. 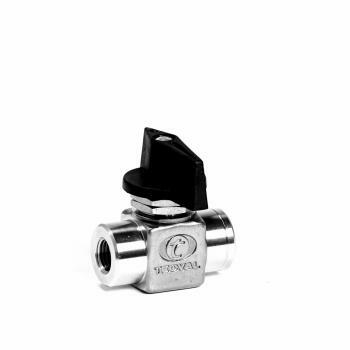 Their compact design offers a safe shut-off and a high flow capacity. 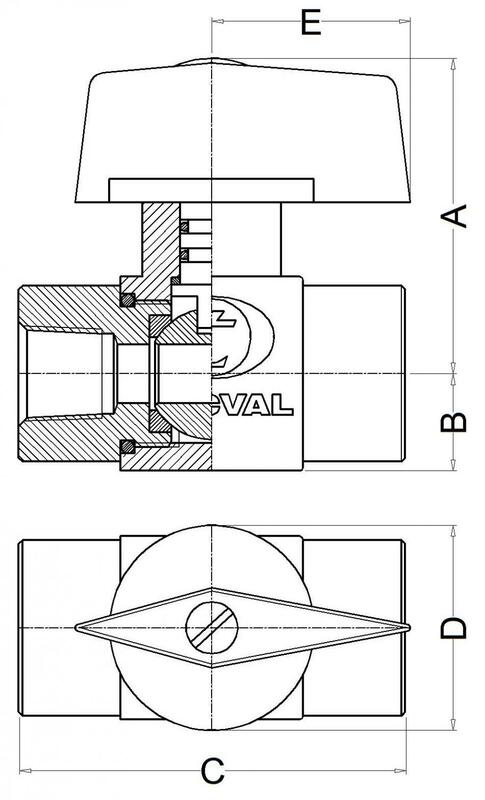 The directional handle provides visual indication of the position of the stem. 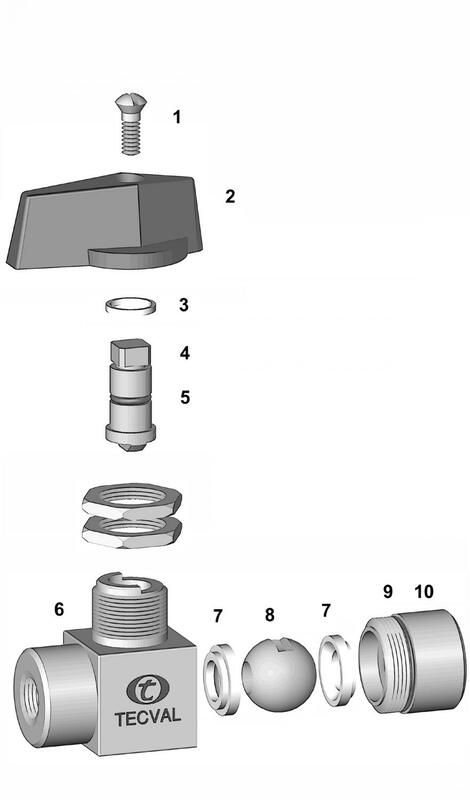 Two panel nuts for a better fixing. 7 Seat P.T.F.E. P.T.F.E. P.T.F.E. P.T.F.E.